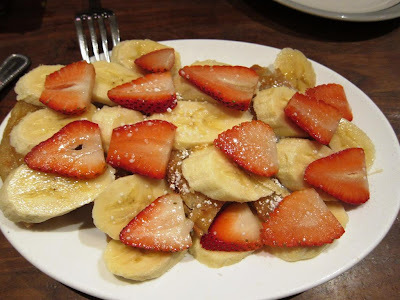 I have devoted several posts to delightful fine-dining restaurants in the city of San Francisco. However, this city also has more than a few charming little places that local foodies swear by - places that lack the upscale ambiance and pretensions of fine dining but are famous only for the food they serve. During my last visit to San Francisco, I was lucky to visit two such hidden gems: Burma Supertar and The House of Nanking. 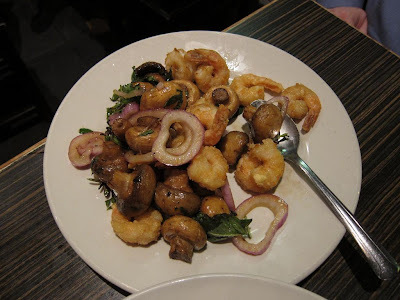 Burma Superstar dishes up authentic Burmese cuisine in a small intimate setting. They don't take reservations and there is always people waiting for tables. We gave the hostess our names and then went to a nearby bar to wait. Even before we had finished our first glass of wine, she called us - they had a table! 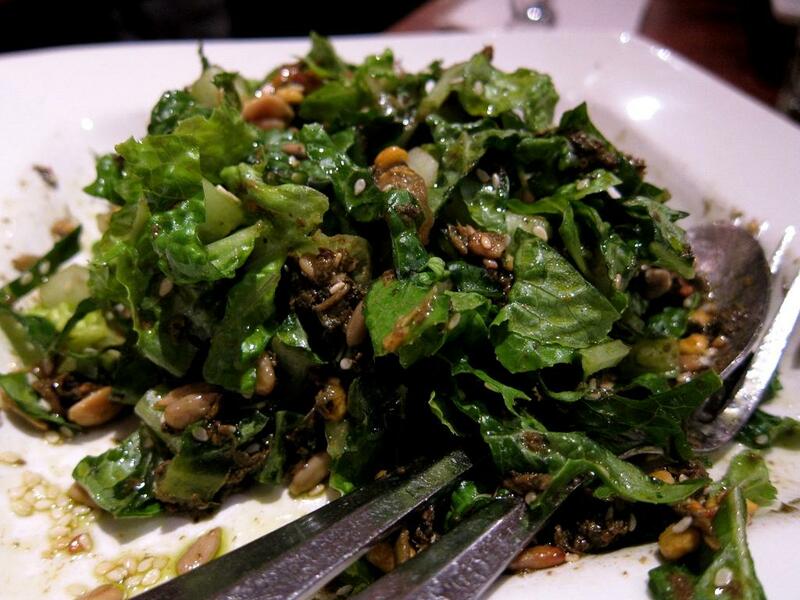 We ordered their famous Tea-leaf Salad, which has been featured on Food Network. 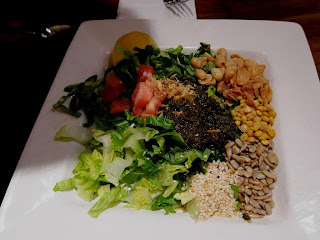 This is a very interesting salad with imported Burmese tea leaves, tomatoes, lettuce, dried shrimp, fried garlic, sesame seeds and peanuts. I could see why it is so very popular with the regulars; the tangy, crunchy salad with so many textures can be addictive! We also ordered the Classic Chicken Cassarole which came with a cardamom-cinnamon flavored rice. 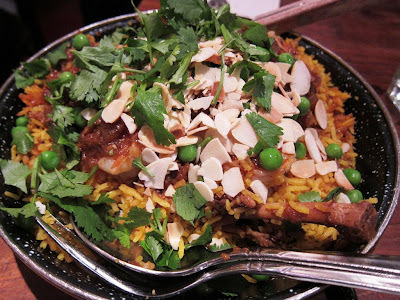 Like traditional Indian chicken curry, it was made of braised leg of chicken on the bone, but also contained shrimps and was buried in a claypot with basmati rice, raisins and nuts. In other words, Burmese biryani! The Pork Curry with Potato was made of braised tender pork and potatoes that had been marinated with pickled mangoes. 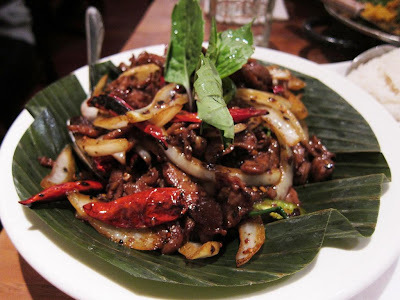 And finally, their spiciest dish: Chilli Lamb, made with stir-fried lamb with dried and fresh chillies, onion and basil. Every one of the dishes was fantastic! 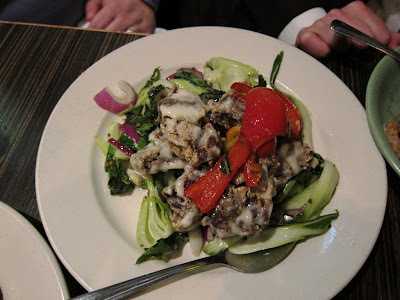 The Tealeaf Salad was particularly interesting to me, because it was so different from anything I have had before. They also brought the salad plate with all the different ingredients nicely arranged and mixed it table-side after a brief explanation. 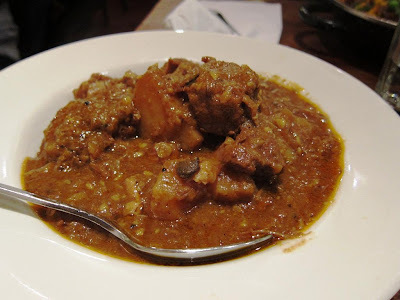 The Casserole and Pork Curry were very tasty too, but somewhat similar to dishes cooked in my native state of West Bengal in India (which is located very close to Myanmar/Burma). The Platha with Fresh Fruit and the Jackfruit Roll were both interesting. The Plata is another version of the Indian paratha. The leavened bread was lightly fried and covered with sweet, condensed milk and slices of fresh strawberries and bananas. The Jackfruit Roll was a paratha bread filled with jackfruit and dry fruits. 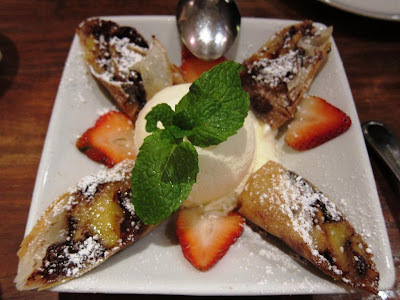 Both desserts sufficiently unusual to make eating them interesting for me! Burma Superstar is a star on Yelp! With a cult following, the wait can sometimes be ridiculous. The food, like Burmese culture itself, draws on Indian, Thai and Chinese influences. The vibe is friendly, the crowd mixed and overall a great place to try something quite different. The House of Nanking is an even smaller restaurant. Located at the edge of San Francisco's Chinatown district, this is another restaurant made famous by its legions of fans. 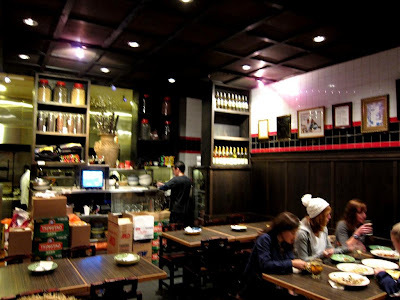 Cramped interiors, an open kitchen area at the back, crates of Tsing Tao beer, and photographs of celebrities - I saw Anthony Bourdain and Rachael Ray - on the walls. A matronly Chinese lady purposefully came over and tossed us some menus, asking, "First time?". On learning we were indeed Nanking virgins, she sniffed and said, "I will tell you what to eat" and promptly snatched away the menus from our hands. 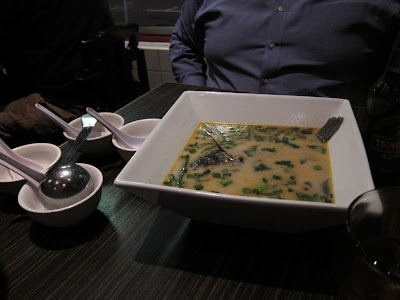 Oh yes, the Soup Nazi lives on in the House of Nanking! She started us off with Chrysanthemum Tea. Since I have had the real thing before, I wasn't too impressed, yet it was good to sip something hot in the wintry evening. 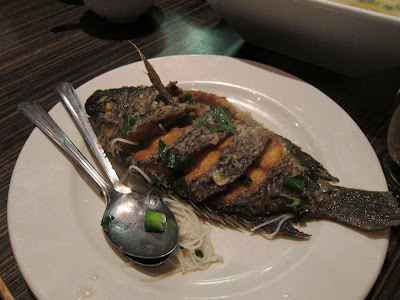 They served us a large bowl of Fish Soup which contained a whole fried fish inside! The soup was quite nice - delicate and flavorful. Then came the Sesame Chicken, one of their specialities. Crispy chunks of deep-fried chicken in a thick sweet-sour sauce sprinkled with sesame seeds and served with slices of fried yam and chopped snow peas. This was a dish every bit as good as its reputation! The Salt/Pepper Shrimp was delightful too. Stirred with mushrooms and onion, the dish contrasted perfectly with the other dishes they served. Finally came the Crispy Beef. This was the only dish we had asked them to include, having heard raves from others. The beef was crunchy on the outside and soft inside and expertly tossed with Boy Choy in a soy-based sauce. Excellent stuff! House of Nanking isn't for those who are looking for a leisurely dinner. With the long queues, cramped seating and brusque waitstaff, the only thing you are expected to do is enjoy your food and get out quick. 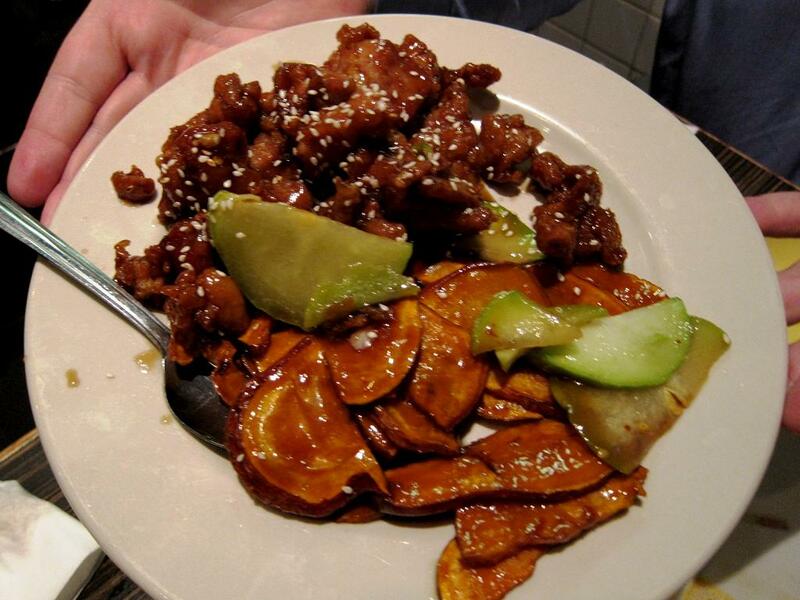 This is also not authentic Chinese cuisine, but a fusion of Chinese and American influences. However, the end result is quite satisfying. Just leave the menus aside, discover your submissive side, and let them call the shots. You may actually enjoy the experience! 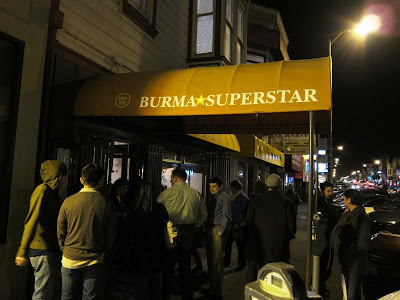 Burma Superstar is located at 309 Clement Street between 4th and 5th Avenues. 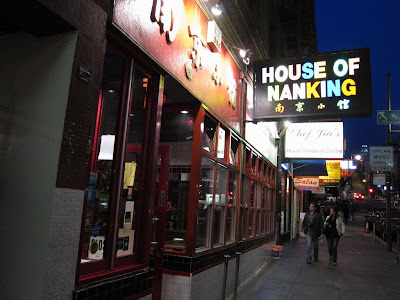 House of Nanking is located at 919 Kearny Street in the Financial District.